When I saw you and her talking. When I saw you and that girl walking. Than to see you walk away from me, child. 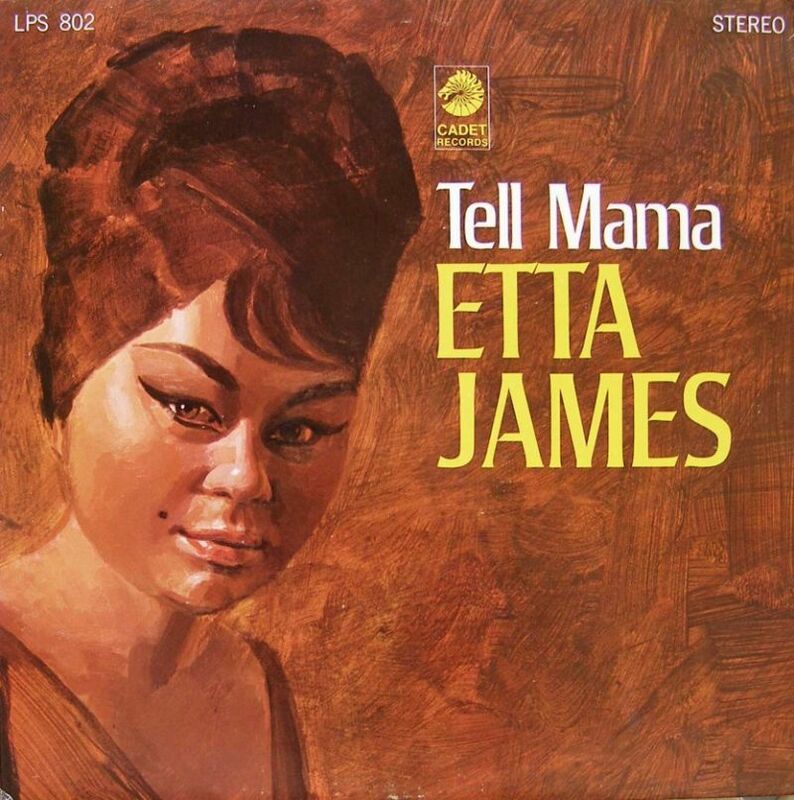 Tell Mama is the eighth studio album by Etta James. The album was released August 21, 1968 on Cadet Records and was produced by Rick Hall. Tell Mama was James’ first album since 1963 to enter the Billboard 200 albums chart and contained her first Top 10 and 20 hits since 1964. It was her second release for the Cadet record label. Leonard Chess sent Etta James to Muscle Shoals in 1967 (2 August – 6 December), and it really paid off with what might be her best Cadet album. The record has a fantastic title cut, it has the moving soul ballad I’d Rather Go Blind, it has the incredible The Love of My Man and a many more very fine soul numbers. The tight studio band at Fame Studios really shone next to Etta James. The music they made is timeless soul/blues, it’s a masterclass in record making. One of the best soul albums ever made, and certainly among Etta James’ best records! Listen to Miss James testify in a country church style on It Hurts Me So Much, oh my God how good it is!